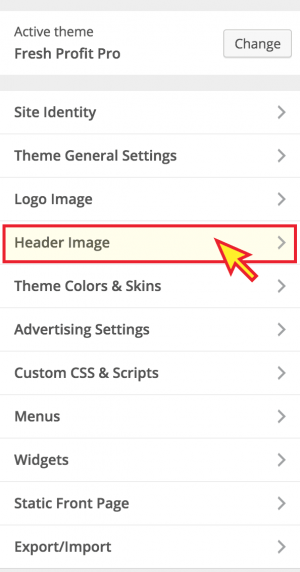 Your theme has options to change the look and feel of the header area. 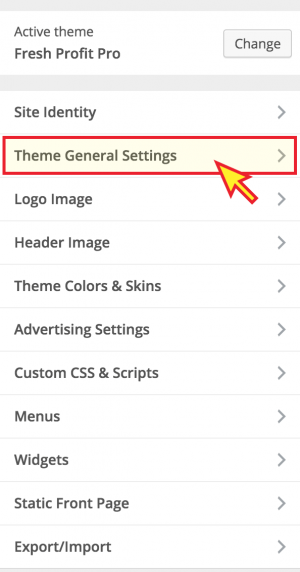 Follow this guide as we go through these settings in the Theme Customizer. 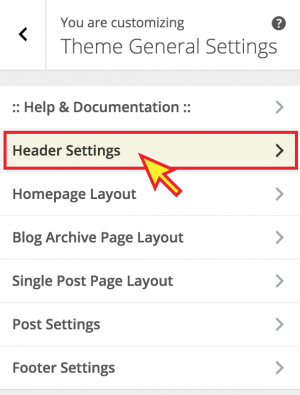 To get started, you will go back to the Theme Customizer where you imported the default settings. From the left-hand Menu you click on Appearance => Customize. This will bring you to your Theme Customizer and Live Editor page. Click on the Theme General Settings menu item. Next, you will want to click on the Header Settings menu item. At any time you can use the arrows at the top to go back up a level. On the Choose Header Type screen, you have (3) options for your header. Logo + Advertisement: This gives you the option to upload a logo image and will use a banner adzone from the included WP Pro Advertising plugin. On desktop it would be a 728×90 banner, but you can specify smaller sizes for tablets and mobile phones. (Refer to the WP Pro Advertising System plugin guide for more information). 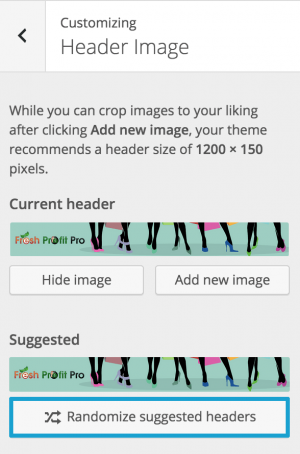 Custom Image Banner: This option allows you to upload a custom image banner that will be displayed as the header. 2 Column Widget Area: This option turns the header area into a widget area with 2 columns set at 50% wide. You would then put widgets into the “Header Widget Left” and “Header Widget Right” widget areas. You can also set a specific link url for you Logo Image or Custom Banner image. 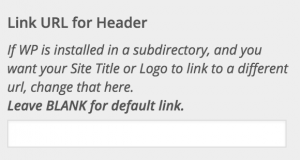 This is useful if you have installed WordPress in a subdirectory on an existing site, and you want “home” to link to a different url. Leave this blank for the default behavior. 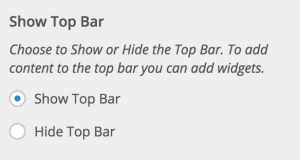 The theme includes a Top Bar that displays as a 2 column Widget Area, using widgets that you place into the “Top Bar Left” and “Top Bar Right” widget areas. You can choose to hide the top bar completely by selecting Hide Top Bar on this screen. This will bring up a screen where you can upload your logo. The recommended size for your logo is 300 pixel wide by 90 pixels tall. 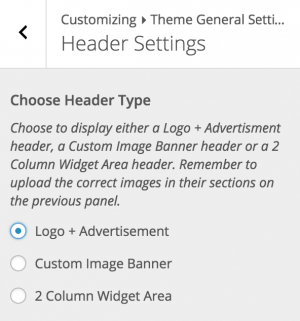 Setting a Custom Banner Image: If you selected the custom image banner as your header type, you will need to upload the image. Go back to the main screen and select the Header Image menu item. Upload the image you want to use as the header image. The recommended size for this banner image is 1200 pixels wide by 150 pixels tall. If you have chosen the 2 Column Widget Area as your header type, you will need to populate the areas with widgets. You can do this via the Theme Customizer, however we find it easier to configure all the widgets from the Appearance => Widgets screen. You have now completed all the configurations for the header area. Please see the main Fresh Profit Pro WP Theme Documentation guide for links to additional training articles.